FitStar Labs is a new company that aims to blend mobile technology with immersive fitness content. Today the company announced its first product, a video-based fitness iPad app that will feature NFL Hall-of-Famer Tony Gonzalez. The app, which will be called FitStar: Tony Gonzalez, is designed to act as an inexpensive personal trainer, helping users get in shape with an adaptive fitness program. 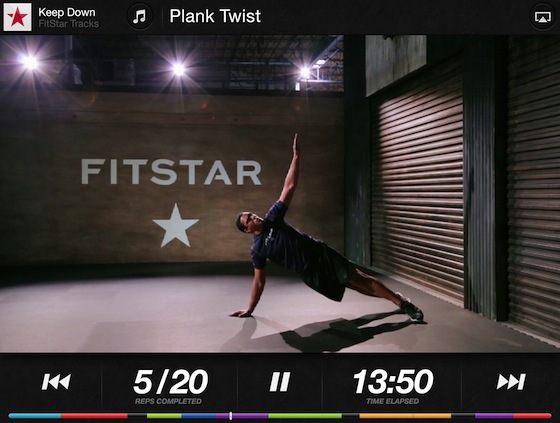 FitStar will allow exercisers to progress through the app at their own rate, based on abilities and accomplishments. When it launches, the first version of the app will offer a range of dynamic exercises that require minimal equipment. Because it is an adaptive app it is useful for a wide range of users, from those just starting to exercise to people who are already in shape. Each user can set an individual fitness goal, and as the app evolves, it will be able to work with fitness tracking devices and media services. If you’ve always wanted a football star as a personal trainer but couldn’t afford the astronomical expense, FitStar: Tony Gonzalez may just be the solution you’re looking for. FitStar: Tony Gonzalez will launch in the Spring of 2013. To get more information on the app, you can visit the FitStar website. Looking for fitness apps you can download now? Check out our Workout Companion App Guide.